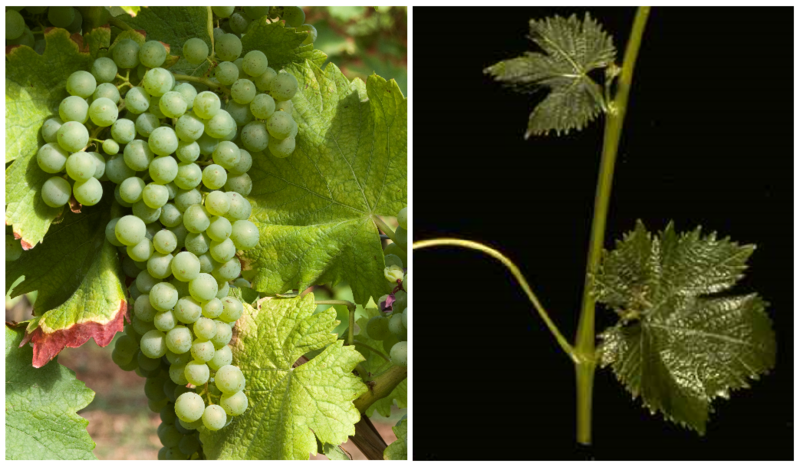 The white grape is a new breed Malvasia Aromatica di Parma (Muscadelle du Bordelais) x Garnacha according to 2013 DNA analysis, Parenting Muscadelle specified in the breeding list x Riesling has turned out to be wrong. The identity of the as a muscadelle (Muscadelle of California or Muscadelle you Bordelais) designated variety, not with the French Muscadelle (Muscadelle de Bordelais) may be confused. Synonyms are California 1139 E29, Emerald Rizling, Esmerald Riesling, Riesling Izumrudnii and Rizling Izumrudnii. The crossing took place in 1936 by Dr. med. Harold P. Olmo (1909-2006) at the University of California, The productive vine is particularly suitable for warm coastal areas. It produces fine-sour white wines, which are used for blends. The variety was until the 1970s in California in the San Joaquin Valley widespread, today it is cultivated on 60 hectares. There are more stocks in Israel (344 ha) and South Africa (104 ha). In 2010, a total of 508 hectares of vineyards were reported. This page was last modified at 8 February 2018 at 09:39.